The Kendall Covidien Chemotherapy Sharps Container 2 Gallon Yellow Each has been engineered to allow for safe and proper disposal of all sharps. This specialty container meets all safety standards when it comes to the storage and disposal of used and contaminated needles. Please check with your city/county to see how they want these containers disposed of. The trace chemotherapy containers are designed to accommodate different sizes of waste materials and sharps. For disposal of chemotherapy waste. Sealing gasket lids provide leak resistant containment of fluid. Absorbent pad at the bottom of the container absorbs excess liquid. Adjustable sliding lid reduces the possibility of aerosolization. Accommodates chemotherapy waste of various types and sizes. Provides temporary and final locking closure for disposal. 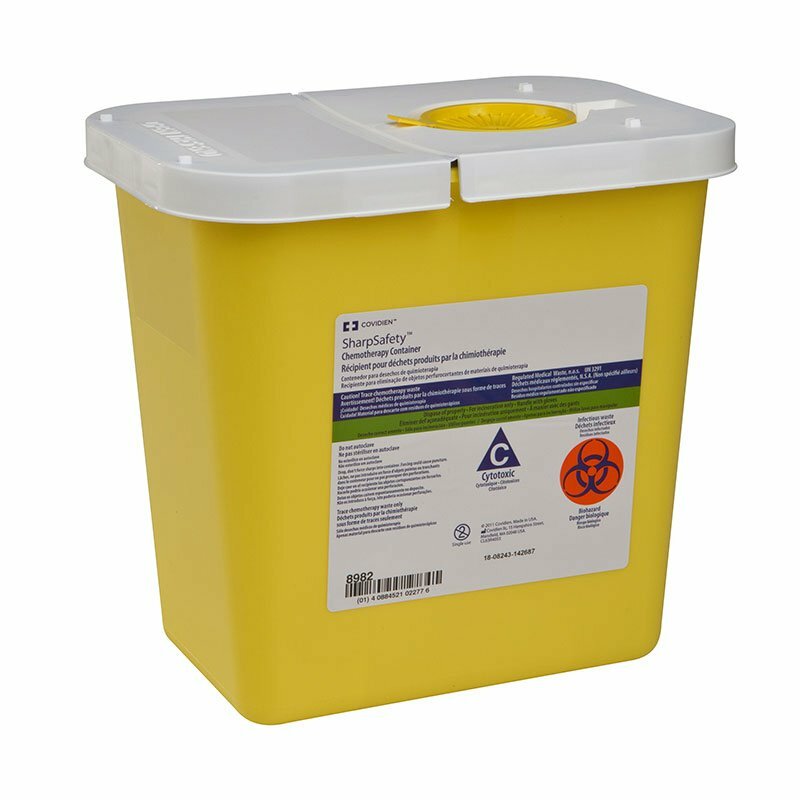 Contains 1 SharpSafety Chemotherapy Container 2 Gallon, Hinged Lid - Yellow.